The Inspector General of Police, Mr Ibrahim Idris, has apologised to Edwin Clark over the search conducted at his residence in Abuja by some police personnel. The Force Public Relations Officer, Mr Jimoh Moshood, confirmed this in a statement, saying the police delegation was led by a Deputy Inspector General of Police, Mr Habila Joshak. Mr Moshood added that the delegation was received by Clark and the apology was accepted by him. Further to the earlier Press Statement from the Nigeria Police Force on the directives of the Inspector General of Police for immediate detention and Investigation of the four (4) police personnel (including a senior police officer) and an informant involved in the unauthorised, illegal and unprofessional misconduct in the Search of Chief Edwin Clark’s Residence in Asokoro, Abuja, today 4th September, 2018. The IGP as stated in the Press Statement was not aware and did not authorise the search and has, therefore, sent a delegation of senior police officers, led by DIG Habila Joshak (DIG DOPs) along with some Commissioners of Police who visited the elder statesman, Chief Edwin Clark, and apologised on behalf of the Nigeria Police Force and the IGP for the misconducts of the said police personnel and the attendant embarrassment the search has caused on the elder statesman and his family. 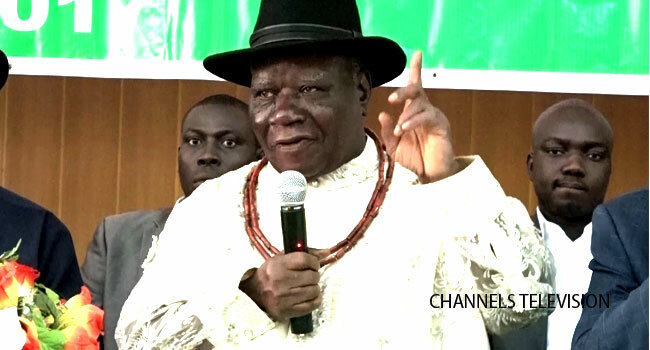 The delegation was received by Chief Edwin Clark and the apology was accepted by him. Furthermore, while the four (4) police personnel are in detention and being investigated and tried within the Force Disciplinary Procedures before appropriate punishments are meted out to them, the IGP has directed the immediate parade of the informant (suspect) on Wednesday 5th September, 2018 in the presence of the press and the public, before his prompt arraignment and prosecution in court.